Person A has no plan for health and happiness but he excelled at school and university and now has a great job. The education system and his parents taught him the notion that you work hard in the early years so you can ‘have-it-all’ later on in life. So he hops on the career treadmill and neglects his social life, playing sport, reading books, eating healthy, getting sunshine, sleeping optimally, loving his partner and bonding with his children. Meditation? What’s that? Napping on weekends? Huh? The worst part is that Person A does not even think that he has disfunction in his life. He accepts his busy life as ‘normal’. That’s the problem, this has become the norm in our society. The results for person A are predictable. Dips in energy over time. Reliance on coffee and stimulants to get through the day, maybe even sleeping tablets at night. He has to work longer hours because his results are not as they should be. Someone younger, sharper and more energetic has joined his department and is outperforming him. He feels the pressure and anxiety creeps into the pit of his stomach. This feeling starts to linger and he may even need meds or reliance on alcohol to relax. The bags under his eyes get puffier every morning. He starts getting irritable at home and descends into arguments in front of the children. Not a pretty sight. Experts all agree that, as a person’s health deteriorates so does their cognitive and work performance. Person B spends just as much time on her personal life as she does on her career. She works marginally less hours than person A but uses this time to exercise, to meditate for 10 mins and prime herself for gratitude, to write in her journal for 5 mins so she can plan her day and a fun social life. She has lunch in the park where she sends her partner a cheeky diary invite scheduling intimacy later that night. The results for person B are also predictable. She may not outperform person A in the short term at work but in the medium to long term she definitely will. She will age slower, be happier and have better relationships. She is not perfect but she aims for progress not perfection. The difference between person A and person B is clear but what motivates them may not be. You see, person A is a victim of poor programming. Person A has a warped sense of what WEALTH is. In western society we are obsessed with having wealth and there is nothing wrong with that. What is wrong however is how we define our wealth. 1. Having high energy, a strong body with great posture, a sharp mind, being emotionally solid, sleeping peacefully, the time to enjoy your food slowly and mindfully. 2. Feeling attractive, wanted and being in an affectionate loving relationship. Deep down we all need touch by another person or even a pet. 3. Having a great family dynamic, where you can connect uninterrupted by phones and media, and time to read, talk and play with your children (if you are a parent). 4. Having a career or business that fulfils you emotionally and working in a comfortable uncompetitive environment that has a culture of purpose, inspiration, support, and humility. 5. Having friends that make you laugh and support you. 6. Growing your mind through learning, reading and networking with other like-minded people. 7. Having the time to feel gratitude and the heart-space to want to help others and contribute to society. Nothing on this list requires a fancy car, a big house or a Louis Vuitton bag. Don’t get me wrong, I am not against owning things, as long as they don’t own or define you. And as long as you do not go into debt to afford them. Debt is a form of slavery that forces you to work longer hours to pay for things you don’t really need or have time to enjoy, because you are too busy working to pay them off. Sit and take 5 minutes to define your wealth first. How do you do that? There is a technique that we use at A Higher Branch Success Academy. It is called “Not Negotiable”. At a very high level, the technique goes like this. What are you prepared to give up to save this part of your life? For example, would you be prepared to lose money over it? Would you give up all your assets to save your health, your marriage, your kids. Would you give up a career to make you happy? Would you let go of a client or a team member who is not aligned to your core values and standards even if it sets your business back? What is your definition of wealth? What are your not negotiables? Many organisations are experiencing a crisis and aren’t even aware of it. There is one truth that the poll leaves out: Almost all people start a job with enthusiasm and excitement but end up on a path to disengagement. Work then becomes a chore and ‘extracts’ the health and happiness out of them. 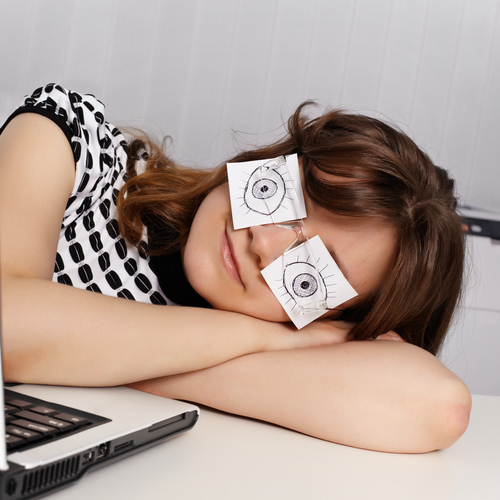 This is tragic because work consumes at least 70% of our waking hours! Is it because people dislike working? On the contrary, we are all born with an innate desire to express ourselves by working and creating value, no matter the job. Work fulfils us, gives us purpose, builds confidence, makes us feel valued and this improves our health – physically, mentally and emotionally. Is it because the workplace is not good? Not likely. Working conditions over the past two decades has improved to comfortable levels never before experienced in human history. The workplace is healthier and more comfortable than ever before. And companies are looking after their people better than ever before. So, what is the Real Reason why so many people are disengaged at work? THE STARTLING TRUTH. Human nature is such that people can grow to dislike and disengage from anything (even something they love and enjoy) if they neglect their health and wellbeing. Western society is locked into a pattern of perpetual obsession with one part of life to the exclusion of other parts. Early in adulthood we focus on education and neglect our health. Then we focus on the new lover and neglect our family and friends. Then we focus on our career and neglect our lover. Then we focus on our finances and neglect our family. Then our health suffers, our energy dips and we start to disengage at work. This intense focus on one part of our life to the exclusion of others is what leads to disengagement in all parts of our life at any given time in our life cycle. Why is this bad? There is a symbiotic relationship between all parts of a person’s life. Neglect one and chances are you will start to fail in the others. How can you perform at work if you are arguing with your partner at home? How can you perform at work if your children are out of control? How can you perform at work if you are not sleeping properly because of poor nutrition, lack of exercise, lack of sunshine and lack of social fun? In their publication “Firms of Endearment”, Wharton Business School discovered that companies who put purpose before profit ended up making the most profit. They outperformed the S & P 500 by a ratio of 9 to 1 over a period of 10 years. What that study did not show or track is the health, wellbeing and engagement of the people that worked for these firms. How many of those people were still employed after 10 years? How many suffered from physical illness, broken relationships and mental health issues as a result of disengagement or burnout? WHAT CAN COMPANIES DO TO HELP? The answer lies NOT in the workplace but at home. The answer lies NOT in the hands of companies. It lies in the hands of the individual that works in the company. The answer lies NOT in a notion of work/life balance. That concept is as outdated as the fax machine. The answer lies in knowing HOW to live a complete life. Businesses make the mistake of thinking that health and wellness ‘perks’ in the office makes for a ‘well’ and engaged individual; things like yoga and meditation classes, sleep pods, wellness seminars, massage etc…The reality is that such perks merely contribute to a pleasant and comfortable work environment. They do not fix the underlying cause of disengagement because they do not teach people a framework for living a complete life without neglecting any of its vital parts; like nutrition, exercise, sleep, socialising, love and intimacy, family and parenting, continuous learning and emotional wellbeing. Would You Continue to Serve Alcohol to Somebody who is clearly drunk? Companies can help by teaching their people a framework for living. Every business has processes and systems for working but never think about teaching their people systems for living. And for very good reason. Its personal. It’s awkward. Its overstepping the mark. Or is it? Government and business need to appreciate that the scope of OH & S needs to be broadened. There should be, and no doubt will be in the future, an obligation on business to ensure that people are not neglecting their health and personal life. This is no different to prohibiting the service of alcohol to a person that is clearly not drinking responsibly. Is it ethical for a company to keep serving up unsustainable workloads to their people, only to sit back and watch them burnout? Some may argue that employees have a choice to say no. And in fact, some employees may request an extra workload and should have the freedom to do so. Right? Wrong. Again, I return to the analogy of the drunk at the bar. Has that person lost their choice to be served more? A better analogy is perhaps found on the football field where a person suffers a head concussion. They plead with their coach to stay on the field. But the coach and trainers make the decision to pull them off. Should business have that same right to send their people ‘off the field’? This may open up so many arguments on so many levels and ultimately lead to an assessment of weighing-up risk, social responsibility and a business’s right to profitability. Smart companies however should see it as an opportunity. Over the long term, healthy and happy people who live a complete and holistic life are more energetic, more creative, more confident and highly engaged at work. A Higher Branch Success Academy has developed a highly successful framework and systems for living a holistic life that empowers people to become their own life architect. This helps them design and be in control of all 8 aspects of their life, including work. The framework includes a set of proprietary principles pioneered in the book ‘A Higher Branch’. In January 2019, they are holding a 3-day event called Upgrade Your Life, in Sydney at the Hyatt Regency hotel to teach people and companies how to live a holistic life without compromising your performance at work. The program is unique and highly successful and represents the future of living and working. Less potato, bread & pasta – more sweet potato, broccoli and pumpkin. Less bacon and sausages – more fish. Less chocolate – more berries. Less nuts – more seeds. Less salt, sugar & mayonnaise – more herbs, spices, lemon and olive oil. Less excuses and less “cheat days”. Most people fail in any industry because they take rejection personally and start indulging in toxic self-talk, like “I am not good enough”, “people don’t like me”, “I should quit and get an easy secure job”. Your thoughts affect your feelings and your feelings in turn affect your thoughts. This partnership between your head and your heart can either work for you or against you. It’s either a positive loop or a vicious circle. If you feel angry, you will have angry thoughts. And when you have angry thoughts, you will feel angry. And the cycle repeats. Conversely if you feel good, you start thinking clearly. Goals and creative ideas start flowing and this in turn makes you feel good. This is the circle you need to dance in. 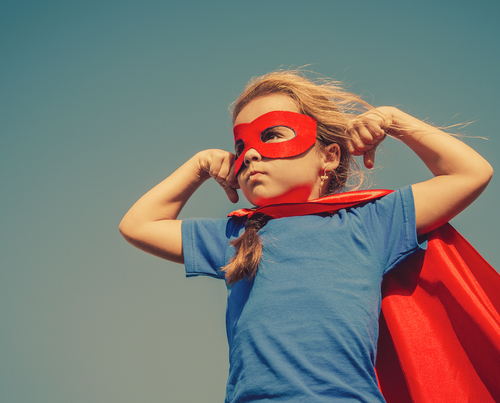 Here are three powers and one superpower to help you “think clean”. 1. The Power of Exercise. How you feel is much more powerful than your thoughts. Try thinking yourself out of being angry or anxious. Next to impossible, right? Your feelings release potent hormones that overpower your thoughts. So you need to change your feelings first. The simple and best way is to exercise! Exercise releases the right ‘feel-good’ hormones. 2. The Power of Words. We watch what we say to others but think nothing of our own self-talk. Is it inspirational and uplifting or is it demoralising? Write down the qualities that you and others most love about you. Recite them on waking and just before sleep. And most importantly when you experience a rejection or failure. It takes you out of the toxic thinking zone. 3. The Power of Meditation. Meditation de-clutters the brain and gives you clarity in a world full of distractions. It is a daily detox for the mind. I could ask you to cancel your social media accounts, disable notifications and stop listening to the news but you probable would not do that. So you need meditation to quite the mind. Meditation is a life-long skill that takes practice. So don’t quit because you get impatient or find it irritating to sit there. The benefit is not in achieving total control. The magic is in noticing when your mind strays and you return to the breath. 4. The Superpower of Visualisation. Your creative imagination is a gift to help you materialize the life of your dreams not your worst nightmares. The most successful people on the planet use this gift to visualise very clearly what goals they want to kick. If you are in sales imagine how you want the presentation to go before you meet with your next customer. Prime yourself for the experience before you enter the room. Close your eyes if you can. All it takes is a few minutes or even just a flash of an image that makes you feel like “I’ve got this!” In quantum physics you attract what you visualise. It really is that simple. Please don’t waste this superpower. When all else fails, you can always dance-on. Dancing is one of the most potent antidotes to any negative human condition. It provides an ample flow of mood-enhancing chemicals that is unmatched by any other activity or drug. When was the last time you went dancing? Harvard Study on Dancing. Join me and my team at A Higher Branch Success Academy’s annual Upgrade Your Life, 2019 event of the year and enjoy three parties by night with like-minded people and 17 sessions by day with the best thought leaders on the planet who will help you design a wellness plan for 2019. Click Here For More Information. If you belong to an industry association you may qualify for a $500 discount code. Please contact us to enquire. 1. Keep a ‘Hero’ File (emotional) Treasure and file away all the cool stuff people say about you. Whether it’s an outstanding school report, a testimonial from a client or a beautifully written card from a friend or partner. We all indulge in negative self-talk. A hero file helps you snap out of it. 2. Go Fearless (psychological) In sport and in business if you start batting on the back foot, you will stop scoring runs and eventually be bowled out. You are most successful when you work like you have nothing to lose. How do you do that? Build up enough savings that can help you get through six months of the toughest financial times. Having this safety net gives you a fearless mindset. 3. Get Out of Your Head (psychological and physical) You will never find your mojo if you are constantly thinking and using your mind as a storage device. Do a daily ‘brain dump’ in your diary. Keep nothing in your head. This will help you sleep better and get you into the zone of creativity. The other thing you can do is exercise and meditate. Both these activities get you to focus on your breath and therefore on your body. 4. It’s NOT about Money (emotional) Never ever make your life about making money and material things. Your primary purpose as a human being is to serve and inspire others. Your customers, your colleagues, your friends, your family …How do you do that? Listen more empathically and give more than expected. Your mojo lives in that space called compassion. 5. Go Green inside and Out (physical and emotional) The colour green on your eyes lowers blood pressure and dissipates stress. Walk in the park daily, go for a hike on weekends. Surround yourself with plants at home. (Book: ‘Plant Style’ by Alana Langan). Drink green smoothie’s and eat at least two green salads daily. Besides being healthy, plant foods are full of life force that give you that attractive glow. 6. Look your Best (physical and psychological) How you look impacts the way you feel. When you dress and look your best, you will simply feel more confident and ‘with it’. (Caution: you cannot eat like crap and cover it up with clothes and make-up. You still need to eat clean and stay lean). Choose clothes that is true to your personality. Stay away from fads. Get a style coach. Read, ‘Women in Clothes” by Sheila Heti. And, ‘Off the Cuff: The Guys Guide to Looking Good’ by Carson Kressley. 7. Don’t Stress About Stress (psychological) External stress is everywhere. It only affects your mojo when it consumes you. Some people live through war and take it in stride. Others go into melt down when someone cuts them off on the road. Seriously? Stop trying to make your external surroundings perfect. Stop putting high demands on yourself and the people around you. Life will never be 100% your way. Not even 50%. 8. You Gotta Have Fun (emotional) When we were children, our whole existence was about exploring and having fun. Consequently our creativity was limitless. The few that carry this fun and playfulness into adult life went on to invent and create the most amazing of human discoveries. Albert Einstein, Leonardo Da Vinci, to name a couple. So my advice is to stop feeling guilty whenever you get the urge to do nothing, or day dream or hang out with friends. Have fun whenever you get the chance. Your mojo loves to have fun. 9. Savour your Food (physical and emotional) Your appetite for food parallels your appetite for life. Food that is full of flavour not only nourishes the body but brings passion to the surface. They call it ‘soul food’ for a reason. Enjoy the variety of foods out there but try and eat true to your cultural heritage. There is nothing more satisfying than eating food that your parents and grandparents cooked. Savour what you eat slowly, focusing on the smells, texture, colour and taste. Eat outdoors, eat with your hands, eat with friends, and above all please do NOT eat in front of the TV. Find out how to get your mojo back by attending Upgrade Your Life, 2019. It’s the event of the year. If want to learn how to get your mojo back then you absolutely need to be in the room with me and a line-up of 10 leading global experts at Upgrade Your Life 2019, January 18-20 at The Hyatt Regency in Sydney Australia. Tickets are limited to 200 people and we are already sold 70% of our ticket allocation so I strongly encourage you to not defer or procrastinate and make the decision that you’ll look back on as the single most important decision in your life. Snap up one of the remaining seats here before they’re all gone. Take action and live the life we both know you deserve. In the current generation Y and millennials, more and more will get the chance to live until 100. You can be one of them if you play your genetic cards right. There is no doubt that medicine also makes this goal achievable. But if you look closely at the statistics you will notice that whilst people are living longer, they are not living a quality life. The following list of lifestyle tips have been carefully researched as having the most impact on our wellbeing. They will sharpen your mind, keep your body strong, resistant to disease and help you live a long happy life without reliance on medicine. 1. Have long-term goals. Having something to wake up to every morning is the strongest of motivations for living with vitality. There are a cocktail of healthy chemicals that give life to our creativity, our energy and our zest for living. Having a purpose in life releases these chemicals daily. It is the difference between waking up with an energetic burst or waking up with lethargy and a headache. 2. Socialise more with friends. Research shows that people who have a wide circle of friends and who socialise often are much healthier than people who are isolated and lonely. 3. Stay in a good relationship. Research has shown that people who are in a loving long-term relationship are much happier and healthier than their single counterparts. 4. Travel regularly. Humans are nomadic by nature. When we stay in one location we stagnate. When we roam our five senses are stimulated. We feel most alive when we experience adventure. Travelling does not have to be overseas. In fact it’s healthier to travel locally. Get out and explore your own part of the world. 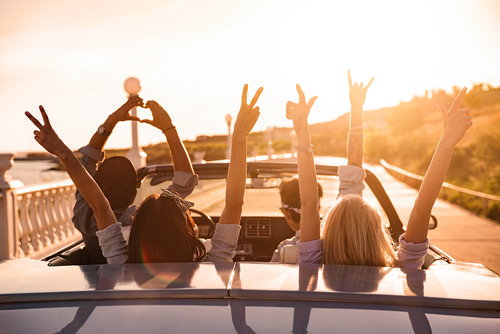 Make a habit of going for weekend trips with my family and friends. We may drive to the mountains, visit apple orchards in autumn or go to the beach in summer. The main thing is to get out of the house. 5. Wake at sunrise and sleep within 2 hours of sunset. Research shows that every hour of sleep before midnight is the equivalent of two hours after midnight. Research also shows that waking at sunrise reduces our blood pressure, which is the single most dangerous factor leading to heart disease and stroke. 6. Follow a diet that’s true to your heritage. Before air travel we did not travel long distances within hours. This meant that our bodies evolved over many years by eating essentially the same food. That’s why I think it is overly simplistic to claim that some diets followed by certain cultures are best for everyone. If you are Japanese then eat Japanese food, if you are Italian, eat Italian food. It is in your DNA. 8. Mix it up – by using your opposite hand and foot. I try and use my left hand whenever I can, especially before I have to do some creative thinking. Using the opposite hand/foot sharpens the mind and keeps both sides of your brain working. If you have a stroke in older age you have greater chance of recovery. 9. Have afternoon naps. The siesta was made famous in Spain, which had one of the lowest rates of depression in the world. It is a modern tragedy that the cities in Spain that have abolished the siesta now experience the highest rates of Prozac prescriptions. Having a nap may be difficult because most of us work Monday to Friday but even a 10-minute power nap is sufficient. If you are unable to do this Mon-Fri, then definitely make it a ritual on weekend afternoons. 10. Watch comedies and hang out with friends who are funny. We are often told to adopt the “don’t worry be happy” mantra. The easiest way to do that is to have more reasons to laugh in life. Laughter releases so many feel-good hormones that replenish our cells. 11. Move your body – naturally. Exercising in a mechanical way on expensive equipment in gyms is not what primes your body for natural strength. Walking, running, swimming, and moving your body in natural movements does. Squatting while doing gardening is natural. Bending to clean your home is natural. Push-ups, chin-ups, squats and sit-ups are also natural movements. In fact I think the best form of exercise you can do is to join a martial arts club. You can be 8 or 80 years of age and still get the benefits. The best form I have come across is Wing Chun. 12. Drink filtered or spring water. One of the best investments you can make is the installation of a reverse-osmosis water filter. It gets rid of the most harmful chemicals in our water supply. In particular, fluoride in water is the cause of many ailments, which lead to premature aging. 13. Never eat when you’re stressed or upset. Go for a long walk or cardio the stress right out of your system. If you are going through a period of emotional stress it is better to eat very small meals. Or better still, drink vegetable juices instead. 14. Keep your bowels clean. Nobody likes to talk about this subject but the fact is that stagnant food in the colon is the cause of much toxicity. And this is easily preventable. 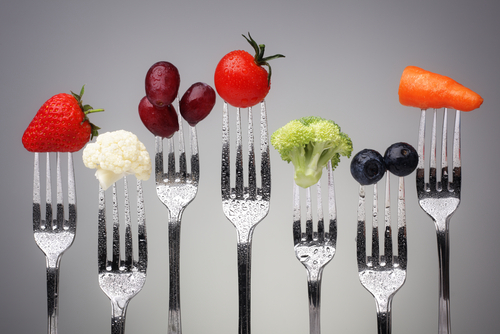 There are two easy lifestyle tips to follow: First, consuming lots of fruit and vegetables. Second, schedule “no. 2” toilet breaks as part of your morning and nightly ritual. A lot of people are so busy being busy that they neglect this routine. They don’t realise how much harm they are doing to their body. 15. Brush your gums and tongue. The link between gum disease, heart disease and stroke. Poor periodontal health causes certain oral bacteria to make the arteries sticky and inflamed. Excluding this risk factor is easy. All you have to do is floss and brush your teeth regularly – but at least at night. 16. Do your pelvic floor exercises. Also known as Kegel exercises. This assists in preventing prostate cancer in men and avoids incontinence in both men and women, which is listed as the single most demoralising ailment for old people in nursing homes. 17. Listen carefully to your body. Whilst you may not experience obvious signs of intolerance to food and situations, it may be affecting you in a subtle way that undermines your energy. Often we are too distracted with life to really notice what is going on in our body. Paying attention to what drains us and what lifts us is the single most important thing that we should bring our self-awareness to. It can be the food we eat, the company we keep and our surroundings – like noise or air pollution. Just because the body gets used to something, it doesn’t mean that it’s not affected by it in a negative way. 18. Meditate – most people do not meditate because they think it is a complex eastern philosophy. The truth is sitting quietly in a warm and comfortable spot can be meditation. Listening to the sounds of nature can be meditation (sitting at a beach or natural reserve). So too is having a warm bath. Even going for a long walk in nature is meditative. The magic happens around the 45-minute mark. Your ‘monkey mind’ will switch off and slow down. 19. Give yourself to charity. Why do celebrities go to Africa and put their time and energy into helping others? Because when you have all the money in the world you will realise that giving to others is the single most important way we can connect with other people. Do not underestimate the power of good wishes bestowed upon you by the people you are helping. 20. Do a 12-15 hour fast daily. Start by not eating 3 hours before you sleep. Research overwhelmingly shows that this habit helps your body clean itself. It improves the function of all your organs, reduces insulin resistance, cleans your arteries in your heart and in your brain to prevent dementia and arteriosclerosis. 21. Learn a new language or a musical instrument. Research shows that this is the only powerful way to promote neuro-plasticity as you age and therefore prevent old age dementia. If you want to know your genetic type and learn three amazing bio-hacks that will help you live until 100 then you absolutely need to be in the room with me and a line-up of 10 leading global experts at Upgrade Your Life 2019, January 18-20 at The Hyatt Regency in Sydney Australia. Numbers are limited to 200 people due to the personalised nature of the sessions and the one-on-one access to all 10 speakers. Tickets are selling fast and will sell even faster as we get closer to the event. Secure your spot now. I strongly encourage you to not defer or procrastinate and make the decision that you’ll look back on as the single most important decision in your life. Honestly, the way I look at it, being in the room with these amazing speakers is actually priceless and is an investment that you’ll make back MANY times over.